Google Adsense Works Best for Making Money Online from websites & blogs through advertisements. Virtually there are no Alternatives to Google Adsense, because no one except Google pays that higher for contextual PPC (pay per click) advertisements. 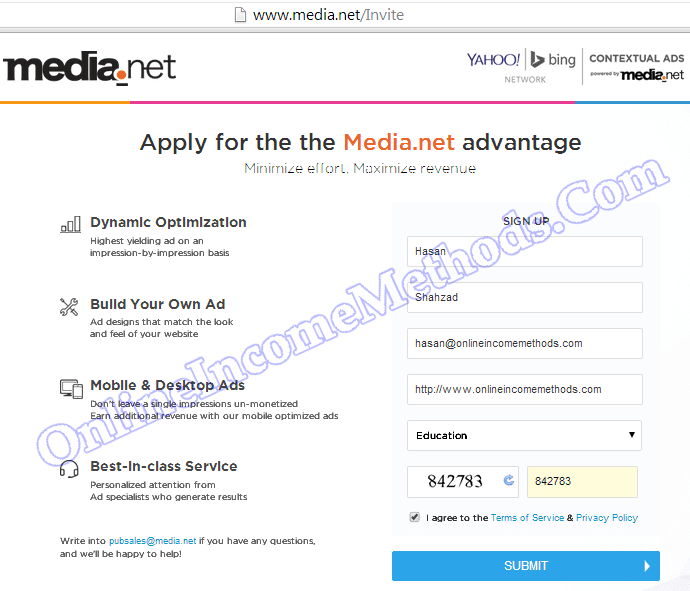 However for any reason if you are Unable To Get Google Adsense Approval or you have got your Google Adsense Account Banned, you must seriously give Media.net a try! Its not only easy to get the approval of Media.net publisher network, as well as it pays significantly better than other crap publisher networks who claim to be Google Adsense Alternatives. 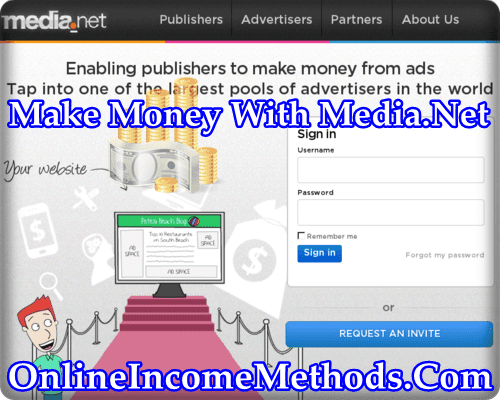 Media.net is among Top 15 Publisher Networks To Make Money Online. I had also written an exclusive article that highlights Top 10 Ways To Make Money Online From The Internet. Now coming back towards Media.net, I have been using their publisher network for almost an year on my blogs & websites, they really offer good quality advertisements for publishers. Users do not find media.net adverts intrusive at all. They serve contextual related ads which are in compliance with ad choice regulatory authority. If your website is being served on a mobile device, Media.net will automatically detect it and display a relevant ad at the bottom of your mobile website version, this will help you to monetize even those impressions which are usually being wasted by other publisher networks, thus increasing the overall potential of making money from ads. How To Make Money With Media.net on your Blog / Website? Dashboard is the control panel of Media.net publisher program. You can access it directly from the homepage of media.net, once you have got approval for your publisher account. Your primary website will be approved under Site Management Tab, in case you need to add more of your blogs / websites, you need to get separate approval for each website from Site Management Tab under the dashboard. Dashboard represents estimated revenue being generated from the last year, last month, this month and last processed day. You will be assigned an account manager who will keep on assisting you through email or phone calls, in case you are facing any difficulty. Also there’s a graphical representation of impressions & revenue generated which could be changed as per different options such as last month, last 30 days, last 7 days etc. Whereas on the bottom right you will observe the live impressions of ads from your blog / website. Since media.net is not a purely pay per click network, rather its CPM based network where revenue is being generated on the basis of thousands ads impressions. Ad impressions will take a bit of time (probably less than 24 hours) to appear on the dashboard, due to the manual verification & processing of ad impressions. You can create a wide variety of ad units that may suit the needs of your website’s layout. Placing the ads above the fold in the prominent area of your blog / website will lead to more ad impressions and ultimately leading towards more revenue. You can go through all of ad unit formats / sizes of media.net over here. Make sure to blend the colors of ad units on your blog, so that you will be generating more revenue. Avoid misleading the people in any case. Once you have reached the payment threshold of minimum $100 in your Media.net publisher account, you will be eligible to receive your payment on net 30 basis either through Wire Transfer, directly into your bank account or through PayPal. 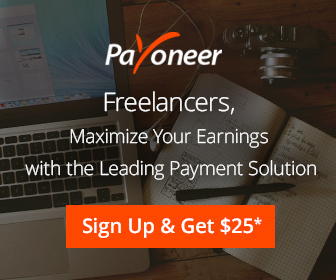 If your country is not supported by PayPal, you can read my detailed tutorial guide to Get Verified PayPal Account in Non Supported Countries & receive payments directly on PayPal; later withdraw them with Payoneer Account. 4. Has primary content in English. 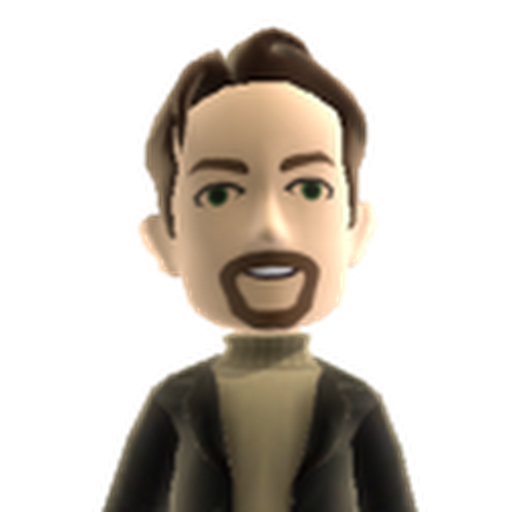 How Much Money Can You Make With Media.net? This is the ultimate question which every publisher wants to ask, and the simplest answer to this question is, it all depends upon the quality of content, region of traffic your website is serving and number of ad impressions being generated. For instance you have a website with very high quality content and you are receiving heavy high quality traffic such as 10,000 hits per day. In that case you will be generating good returns, may be $10 – $20 on a daily average ($300 – $600 a month) through Media.net. Though I am not earning up to that mark with Media.net so far, however I am struggling hard to reach that level with Media.net. Make sure to read my guide for Earning Stable Online Income, from Home. ← How To Fix Dell Inspiron 1545 DVD Rom (TS-L633B) on Windows 7 / 8 / 8.1?